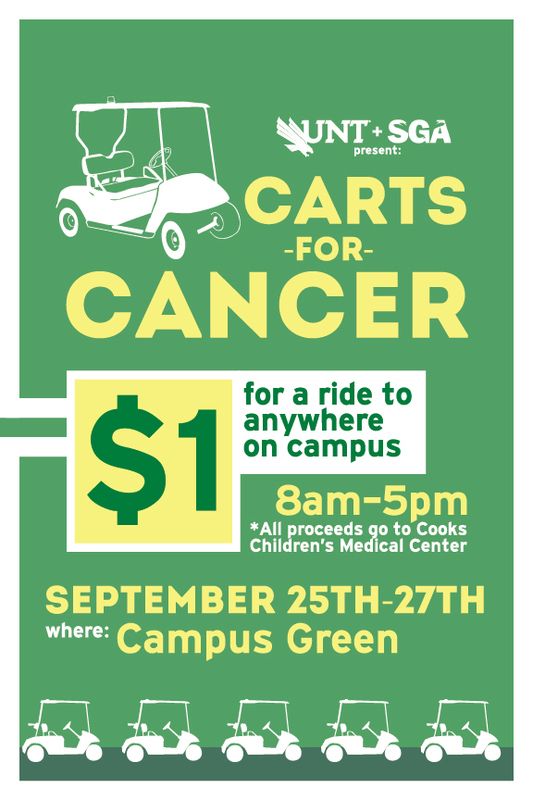 One of numerous marketing posters designed and produced for events run by the Student Government Association. 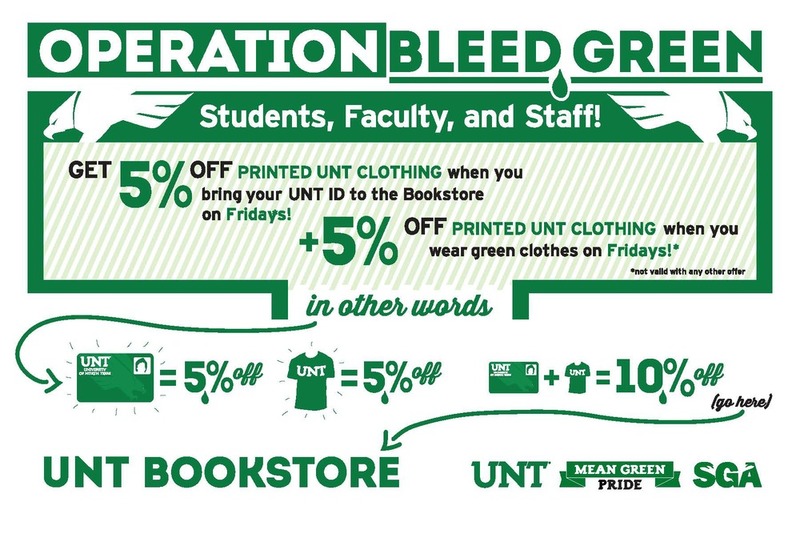 A poster designed and produced for a long-running program at UNT's student government. 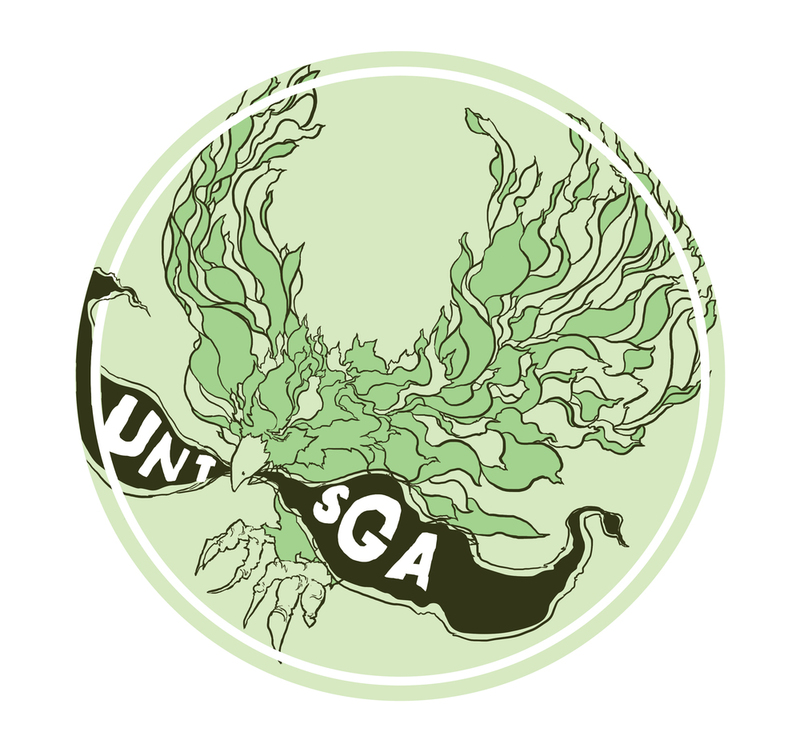 A t-shirt designed and produced for the Student Government Association. 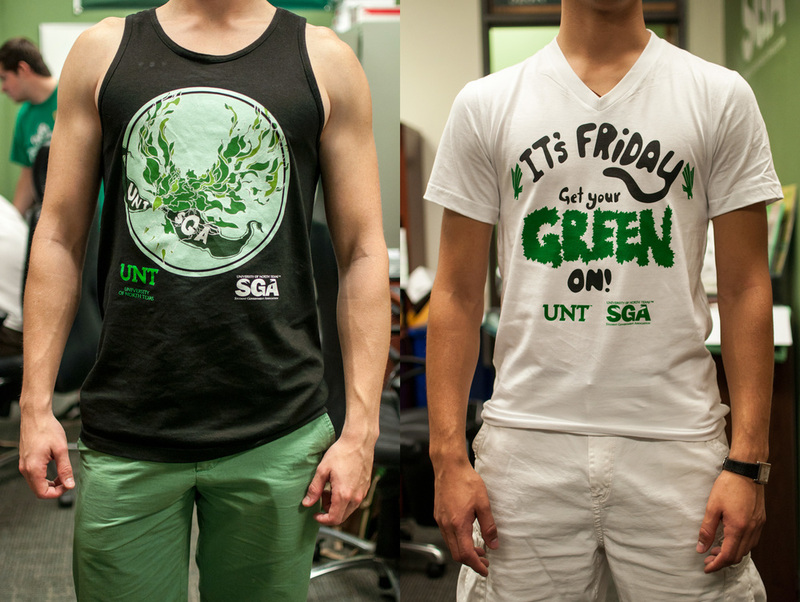 As the first design of the year, it was printed on tank tops that were given out to incoming students. 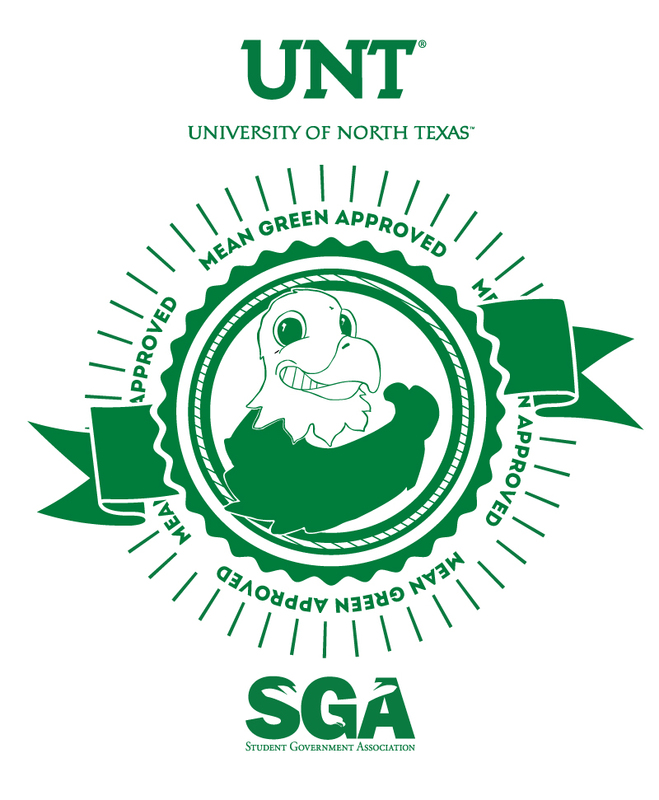 This was a mocked-up seal for possible SGA gear to tie the freebies together. Ironically, the seal itself was not approved. A poster in a series of works designed and produced to advertise interaction between students and their student government representatives. The "Meet Your Senator" campaign in action. One of the many posters designed and produced for the student government's campaign to get students to participate in the student government elections. 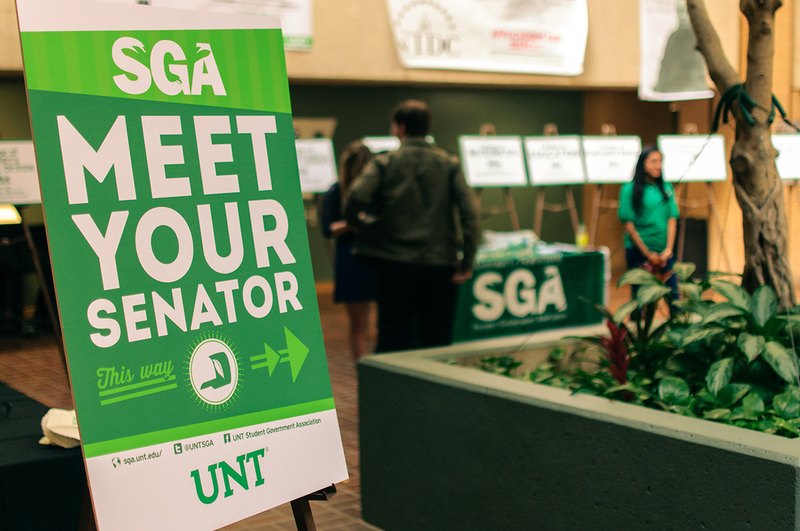 The presidential debate was telecast in front of a student audience and moderated by UNT's debate organization.